Joanne is founder and Managing Director of both The Entrepreneurs Academy and QED Accreditation Advisors. Joanne is a portfolio entrepreneur and recognised leader in training and business development in Ireland. Through her business at The Entrepreneurs Academy, Joanne has trained over 30 thousand entrepreneurs towards success and works internationally with her Accreditation Advisory firm QED (www.QEDaccreditationadvisors.com). Joanne is passionate about business development and providing new enterprises with world leading training on how to do business better, smarter and more successfully. A frequent keynote speaker at international conferences, Joanne is co-author of #1 bestselling book “Don’t Get a Job, Build a Business”. Joanne is a government advisor on Entrepreneurialism and a recognised media commentator. She joined Bobby Kerr as an expert panel member on Newstalk’s Down To Business Show for the 8 episodes of AIB’s Getting Started Series. She is listed as one of the top 100 All-Island Business Women by Irish Entrepreneur and Your Business and as one of the top entrepreneurs in Ireland by Prudence magazine. 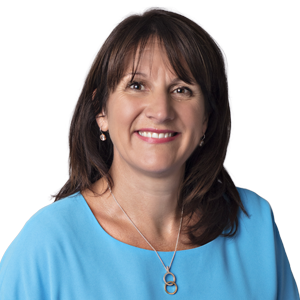 Joanne is heavily involved in the British Irish Chamber of Commerce and is a board member of Dublin Chamber of Commerce and Advisory Board Member of the University of Hertfordshire Business School in the UK and chairs Advisory Boards for a number of start-up companies. She spent a number of years as Programme Manager, at the prestigious Michael Smurfit Graduate Business School, University College Dublin, following a period of accountancy training with EY (formerly Ernst & Young) Chartered Accountants. She holds a Bachelor of Commerce Degree from University College Dublin, specialising in Finance, and a Master of Business Studies Degree in Management from the Michael Smurfit Graduate School of Business, University College Dublin. Joanne holds a certificate in Training from NUI Maynooth (1st Class Hons).